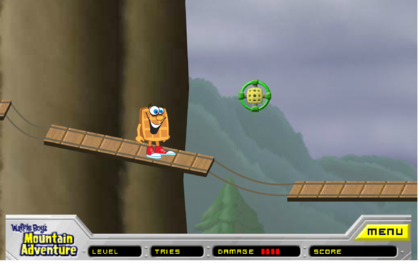 Waffle Boy's Mountain Adventure was a Flash game developed by Smashing Ideas and released on Postopia in 2004. 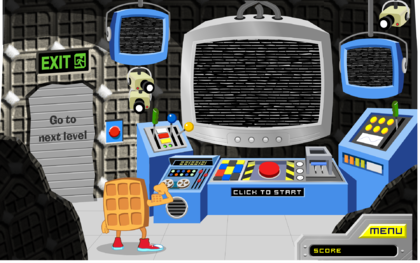 All searches appear to lead to Waffle Boy's Jungle Adventure, the sequel, which has shrouded the game it was based off of. 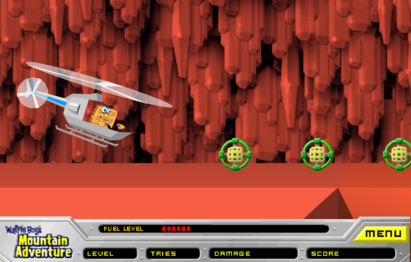 There are people who have asked on Yahoo or other sites for help finding this game, but only the Jungle one seems to be available. It was available for many years but has been lost due to time. 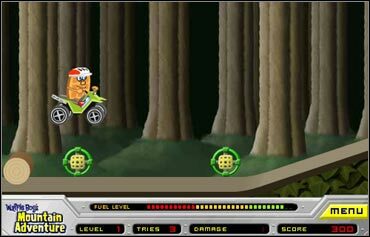 The possible reason why this game was not mirrored by any other website, in contrast to, for instance, Waffle Boy's Jungle Adventure is because Waffle Boy's Mountain Adventure consists of the large number of files, and perhaps other websites did not bother trying to get all of them given the large availability of other good-quality Flash games. 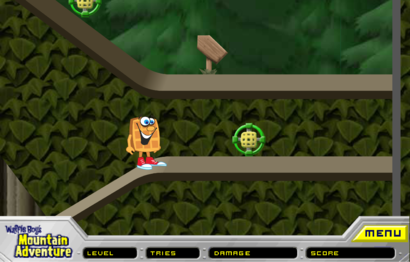 Fortunately, even if some files would not be found, these files can possibly be derived from their counterparts used in Waffle Boy's Jungle Adventure. 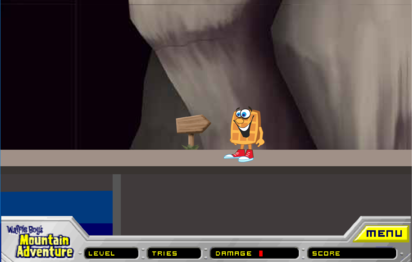 A Smashing Ideas employee named Brian Burke has been contacted at LinkedIn for the game and he said the client was Kraft and they would have had the final files for that and Smashing Ideas no longer have any of the files for that game dating that far back. 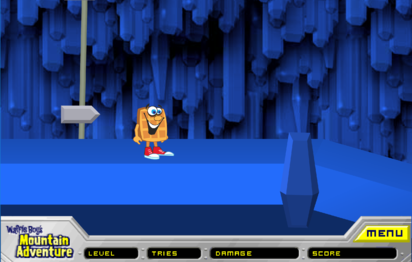 He said it might live on another site somewhere, but he is not sure.